5 Pack Shimmers! 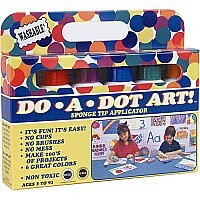 Do?A"Dot 5 Pk Includes: Silver, Golden Yellow, Pink, Purple & Green. Made In The Usa.